The Moza AirCross Panasonic GH4/GH5 Power Supply Cable allows you to power your GH4/GH5 camera off the gimbal's batteries. It features a dummy battery on one end that's compatible with any Panasonic camera that uses a DMW-BLF19 battery, and it has a power connector on the other end that plugs into the DC output port on the gimbal. Box Dimensions (LxWxH) 4.1 x 3.1 x 2.0"
does this work with panasonic g85? Asked by: John Paul A. Sorry, this one no. 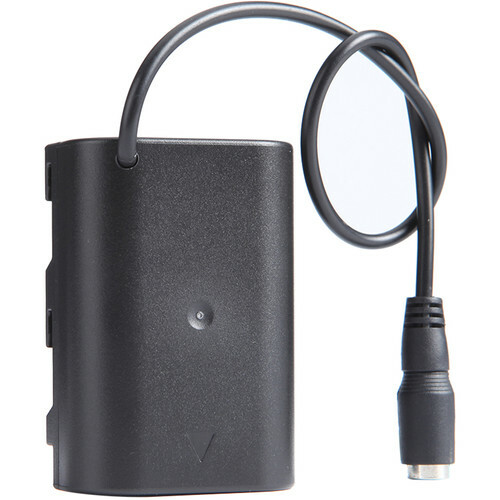 However, you can use this one: Tether Tools Relay Camera Coupler for Panasonic Lumix Cameras with DMW-BLC12 Battery B&amp;H # TECRPBLC12 (The compatibility list does not say the G85 but don't worry, it works.) You need the Tether Tools Case Relay Camera Power System B&amp;H # TECRUPS110 to connect the coupler to a power supply such as this: Tether Tools Rock Solid 10,000mAh External Battery Pack B&amp;H # TERSBP10. If you have further questions, please write provideo@bhphoto.com. Does this work with the GH5s? The GH5S uses the same battery as the GH5. This power supply cable should work with the GH5s as well.